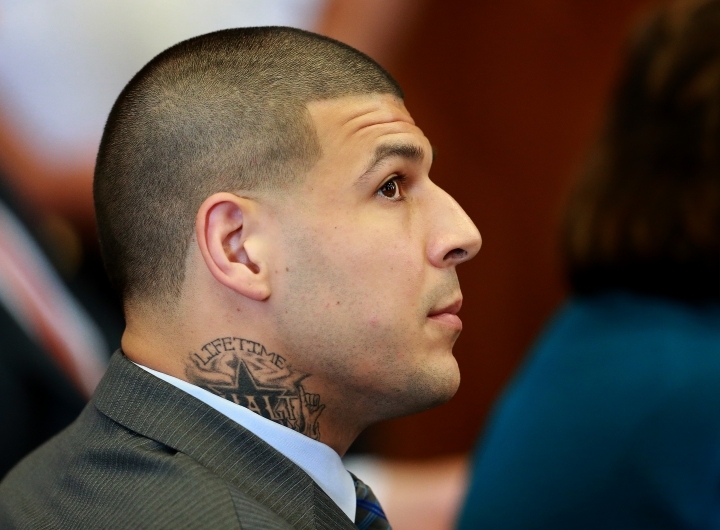 BOSTON — Former New England Patriots player Aaron Hernandez will stand trial early next year in the 2012 fatal shootings of two men outside a Boston nightclub, a crime prosecutors say was prompted by Hernandez's rage over a spilled drink. 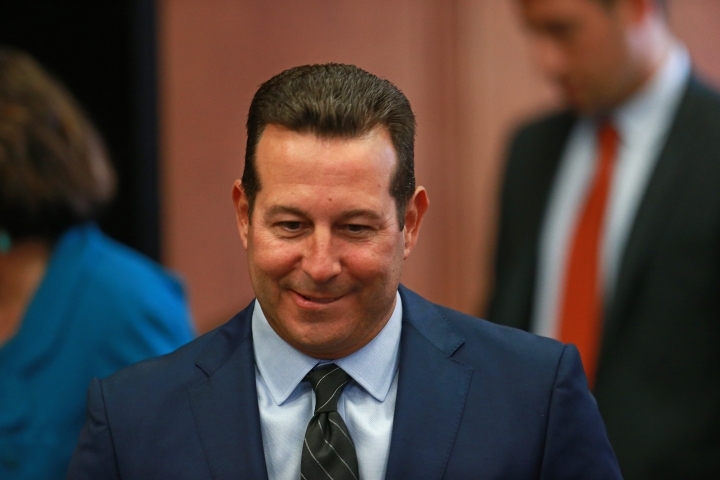 Hernandez, who is serving a life sentence for a 2013 murder, recently hired a new defense team that includes Florida attorney Jose Baez, known for winning an acquittal for Casey Anthony in the death of her daughter during a highly publicized trial in 2011. Hernandez is accused of gunning down Daniel de Abreu and Safiro Furtado in July 2012 after de Abreu accidentally bumped into Hernandez in a nightclub, causing him to spill his drink. 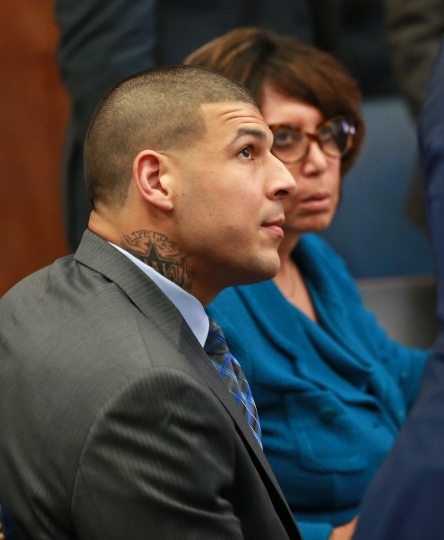 Prosecutors said Hernandez became enraged, followed the men, then opened fire on their car. Two other men in the car were wounded, while a fifth man was unhurt. 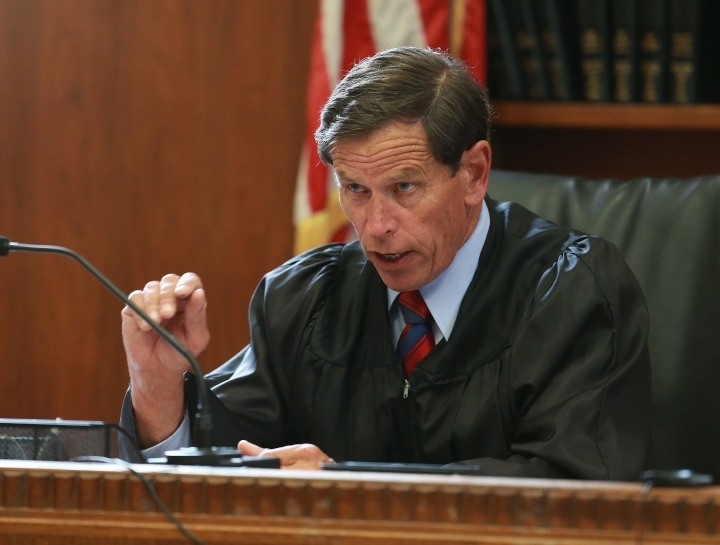 In court Tuesday, Baez told Judge Jeffrey Locke that he may seek to keep jurors from hearing the descriptions of the shooter given by the three men who survived the shooting. Baez said the descriptions "have changed over time," including after Hernandez was publicly identified as a suspect. 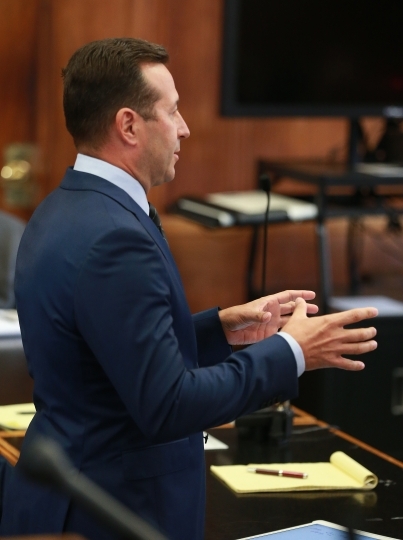 "You don't want a witness's testimony to be tainted in any way, and I'm certain the state doesn't want that either," Baez said after the hearing. "So I think in the interests of justice everyone wants them to be able to describe what they saw at that time. Unfortunately, these descriptions have changed, so we're going to be addressing that." 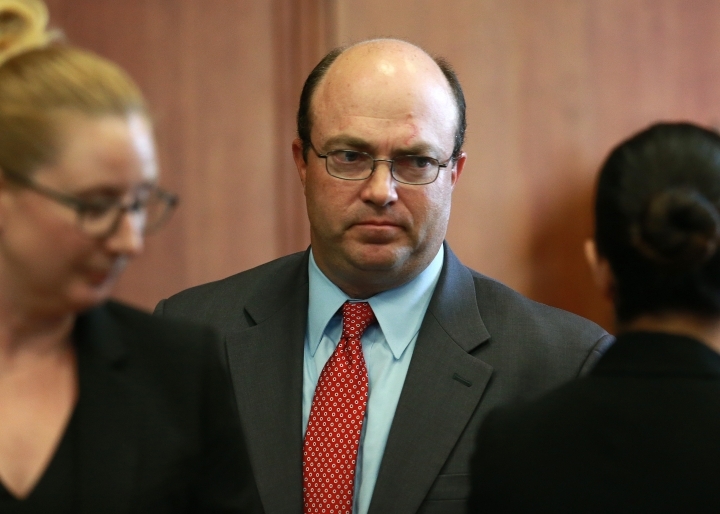 Assistant District Attorney Patrick Haggan said prosecutors expect to identify up to 300 potential witnesses for the trial, although not all of them are expected to testify. De Abreu and Furtado were close friends who attended school and served in the military together in Cape Verde before coming to the United States. They were shot about six weeks before Hernandez signed a five-year, $40 million contract with the Patriots. He went on to catch 51 passes and score five touchdowns that season, his last in the NFL. He was charged in the killings in May 2014. Hernandez has pleaded not guilty. He is due back in court Oct. 3 for a status conference. 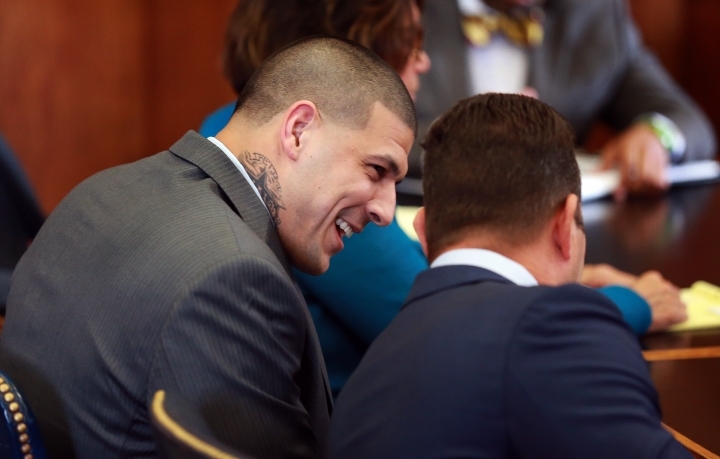 Hernandez is already serving a life sentence after being convicted of murder in the killing of semi-professional football player Odin Lloyd.